Sharita Towne is a transdisciplinary artist born and raised on the West Coast of the U.S. along I-5—from Salem to Tacoma and down to Sacramento. 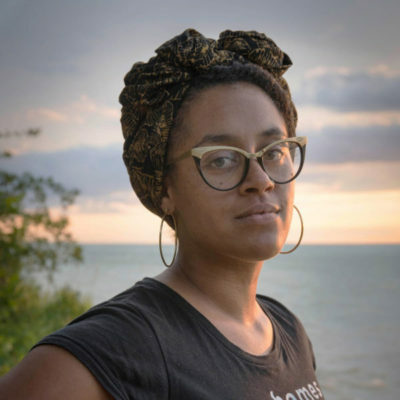 She is a research-based video artist and printmaker most interested in creating interdisciplinary community art projects that engage local and global Black geographies, histories and possibilities. Sharita is an Assistant Professor in Intermedia, Thesis and Critical Studies at Pacific Northwest College of Art.